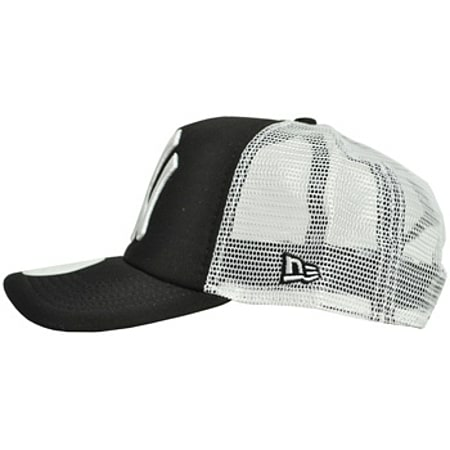 This New Era NY Yankees clean trucker cap features an original trucker style with a mesh back and snap fastening. 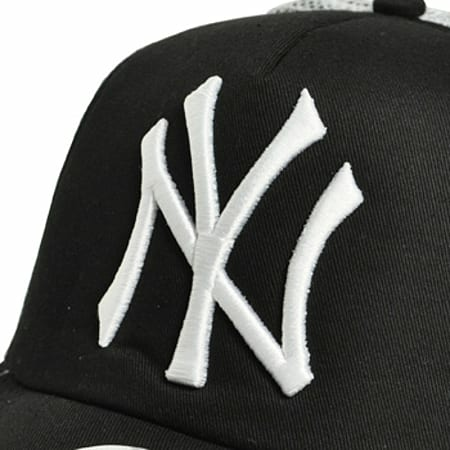 With a big New York Yankees logo on the black front, this cap will turn heads wherever you go due to its cool style. New Era are the market leaders in hat production, so its no surprise to see that this particular design has been engineered to such a high standard. So if you're looking for superior headwear, then this New Era NY Yankees clean trucker cap is the one for you.When you wear this New Era NY Yankees clean trucker cap you will immediately command respect from all who see you. Its neutral colours ensure that it will go perfectly with a whole number of outfits making it an awesome addition to your wardrobe. The tough double blended stitching will stand up to all that a busy life can throw at it, creating a cap which not only looks great but feels and performs to the highest standard too. 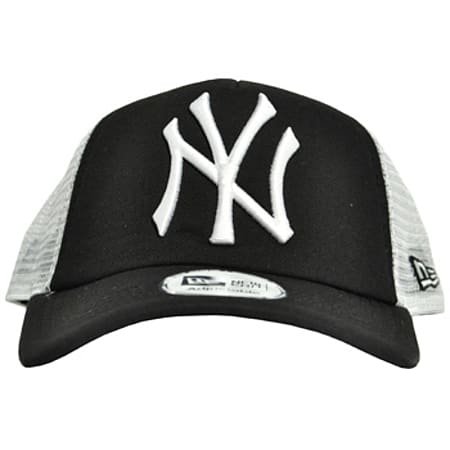 Each New Era NY Yankees clean trucker cap is offered at a fantastic price too, so you wont have to pay over the odds to look fantastic at all times. Don't wait a second longer to snap up a New Era NY Yankees clean trucker cap.